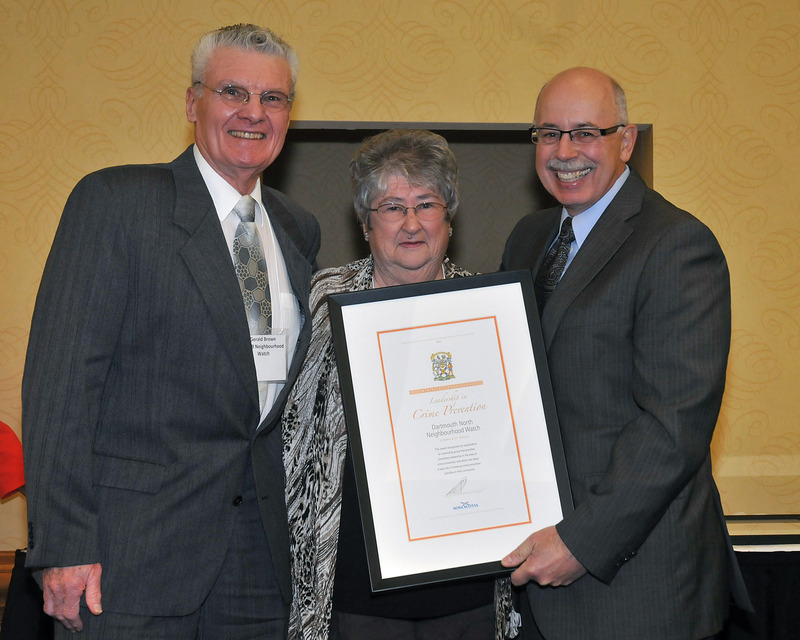 Justice Minister Ross Landry presents Sylvia Anthony and Gerry Brown, Dartmouth North Neighbourhood Watch, with the community award. A tried and tested approach to community safety is demonstrated by the Dartmouth North Neighbourhood Watch. Seventeen years ago, the program was instrumental in establishing a Community Police Office. Since then the organization has maintained over 800 signed members who provide a sense of security for families in the neigbourhood while evolving to meet the changing needs of its community in relation to crime prevention.